Ever considered a farmer’s market a must place to be? 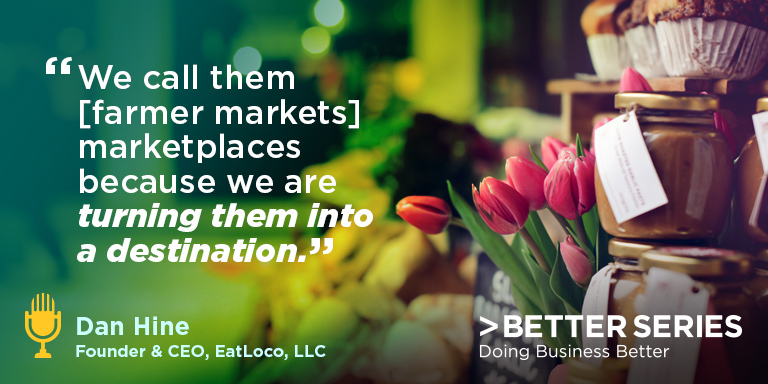 Well, Dan Hines, Founder & CEO of EatLoco is encouraging us to see the farmer’s market in a whole new light. He joins us to discuss the business behind the markets and how he’s helping local farmers grow their food business and customer base.